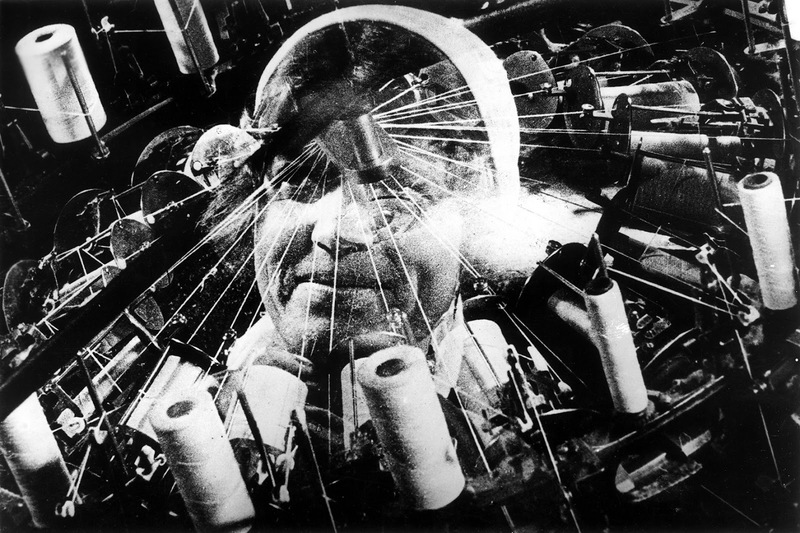 In an age in which most theatrical documentary releases consist of rote, turgid frameworks - of talking heads stoically laying out neat linear narratives - it is both alarming and invigorating to revisit Dziga Vertov's 1929 playful and revolutionary non-fiction feature Man with a Movie Camera. The Russian film (released by Eureka video as part of the 4-disc collection Man with a Movie Camera and Other Works by Dziga Vertov), often finds itself topping polls for Best Documentary Ever Made and, equally, regularly charts near the peak position in Greatest Movie ballots too. For those who have never experienced Vertov's masterpiece, it would be easy to ask the question - how can a piece of experimental cinema, featuring no colour, diegetic sound or story, truly represent the pinnacle of the non-fiction film movement? 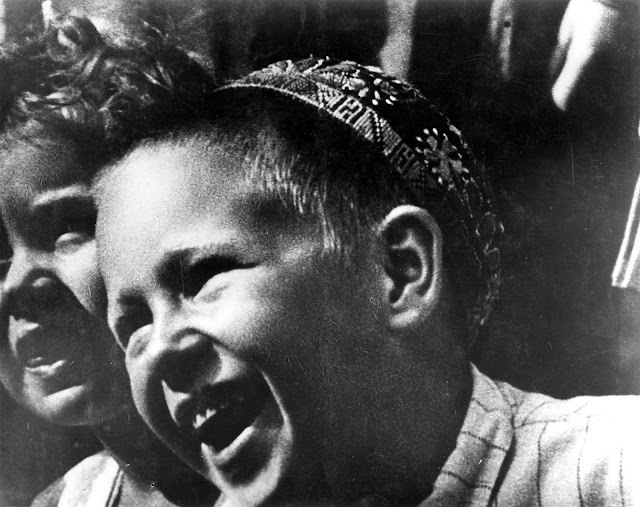 What can we truly learn from a near-hundred year old movie created in the heart of the now-defunct Soviet Union? Yet, what is truly most striking about Vertov's acclaimed feature is that not only was the documentary ahead of its time upon release in the 1920s, it remains that way to this day. As Vertov was developing his documentary, experimenting with the very grammar of movies and the formal parameters of cinema, non-fiction film was still very much in its infancy. Robert Flaherty's largely staged 1922 feature Nanook of the North provided a commercial breakthrough for one strain of the medium whist many documentarians (inspired by pioneers such as F. Percy Smith and producer Charles Urban) believed non-fiction movies should take the form of detached scientific observations. 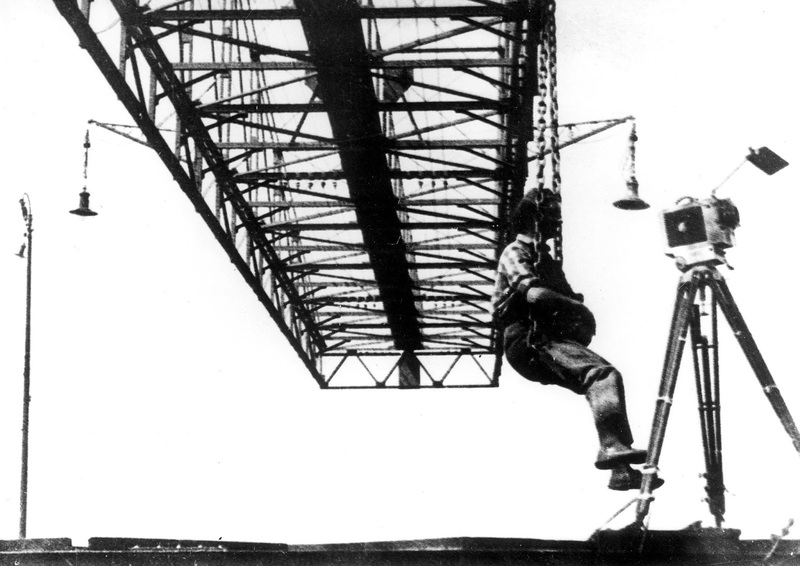 Vertov, however, had different ideas as to what documentary film could, and perhaps should, be. In Man with a Movie Camera, the Russian director creates a feature which is self-aware and reflexive, full of post-modern acknowledgements that what the audience is watching is a constructed feature, created by a film-maker with clear ideological intentions. This is a fourth wall breaking piece of propaganda masquerading as propaganda, a movie very much about movie making. Indeed, the opening shots of the film show an empty cinema theatre into which an audience filters in, ready to watch a movie which will be assembled before their, and our, eyes. What they, and we, will witness will change the course of cinema forever. Without Vertov's feature, and the styles he creates within, there would be no Godard or Rocky, no Requiem for a Dream or Transformers, Star Wars or Blood of the Beasts - whilst we can debate the merits of those films individually, what cannot be disputed is Vertov's influence upon the movie grammar which spawned them. To modern sensibilities, used to Michael Bay and MTV, the rapid editing Vertov deploys probably won't appear radical at all but, in context with the longer shots deployed in early cinema, the lightning fast cuts were a statement of intent. His use of Soviet-style montages, of meaning created on-screen through juxtaposition of images, helped move film as a medium away from the conservative trappings of theatre (under which a large degree of early cinema was constrained under) to help create an entirely new artistic sensibility. Like a magician revealing the secrets of his own tricks, Vertov shows the audience the methods under which he creates this new form of expression too. Whilst Man With a Movie Camera features a number of Soviet cities, and the sights found within each, the one recurring character (and theme) throughout the movie is the man creating what we are seeing - an individual transporting a hand-cranked camera from location to location, mounting it on a tripod and lensing a multitude of images. At one point, for example, we see the images in the frame hurtling towards us - Vertov reveals, through a cut to alternate footage, this was created by fastening the tripod to the top of an automobile. Taking us further out of the picture, yet placing us further into the picture-making process, the filmmaker further shows us editors at work in a film studio, cutting up celluloid and placing them in a new, non-linear order. This is not so much a narrative-infused movie as a treatise, a thesis on the art of cinema. 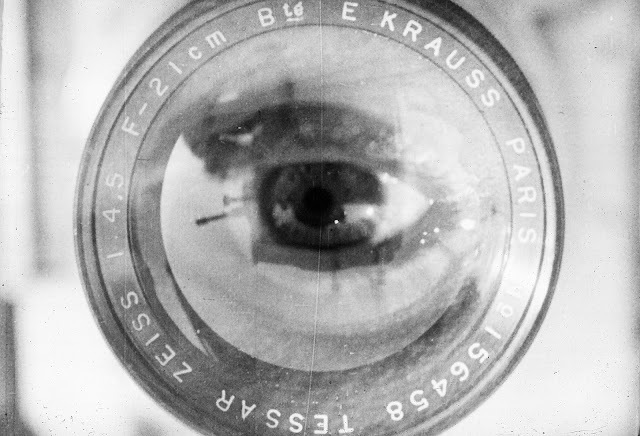 If we are to understand the potential power of film, and how they convey messages to us, it makes sense for us to study Man With a Movie Camera and, as we do, as we witness the technical innovations and playful images within, it is not at all difficult to see that the documentary is still peerless over eight decades later. Intriguingly, Vertov's masterpiece is the culmination of experiments which began with him editing together newsreels. Eureka's release gives us a glimpse of his work-in-progress, the work he created whilst building up to his masterpiece, with an early 1924 short - Kino-Eye - and a news-reel, Kino-Pravda #21, created in 1925 to commemorate the first anniversary of Lenin's death. For cinema historians, or those interested in post-revolution Russia, the two creations presents us with an invaluable opportunity to observe a part of history often sealed off from us. Furthermore, for those wondering where one goes after crafting one of the most important movies in history, Eureka provide the answer for this two. Also included in their Vertov release are the bold Enthusiasm: Symphony of the Donbass (1931) and Three Songs About Lenin (1934). Like the non-fiction feature which made his name, the two latter-day releases included in the collection show us the past, in terms of the images projected within, whilst we also bear witness to a film style which still appear futuristic.